Guernsey boasts a spectacular coastline with golden beaches and beautiful countryside, a mild climate year round and an exceptional dining scene - all less than 1 hour from England! As you explore this charming island's narrow country roads, secluded bays and quaint villages you will discover the true spirit of the island that straddles the best of British and French charm. Whether you are an adrenalin junkie looking for exhilarating activities along the Guernsey coast, a culture vulture, interested in the island’s past or just wish to relax, you will find something to suit here. 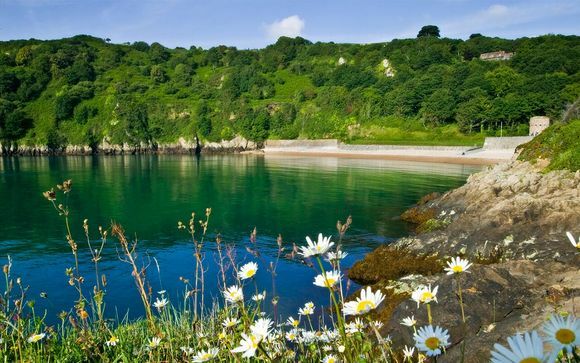 With such beautiful coastal and country scenery, the island is very popular with cyclists and walkers - a wonderful way to explore the rugged coastal paths or pretty, woodland. Other popular activities include fishing, golf, or boat trips to the surrounding islands of Herm, Sark, and Alderney. The Fermain Valley Hotel is nestled in Guernsey’s prettiest valley, perched above the south coast cliffs is just a short walk up from Fermain Bay. Its rooms offer breathtaking views out to sea and onwards to the surrounding Channel Islands and France. Peaceful and secluded yet conveniently situated just 5 minutes from Guernsey’s charming harbour capital, St Peter Port, the hotel brings you the best of both worlds. This hotel is a true boutique property - small, unique and with some great facilities, you won't want to ever leave! The rooms are spacious, light-filled and elegant, and are spread over two separate buildings. The main hotel building has 32 bedrooms whilst The Venue, a separate building located just a short stroll up the hill through the gardens, has 13 bedrooms. From the complimentary decanter of sherry, topped up daily, to the luxury branded toiletries in the bathroom, the owners take great pride in the personal touches found in every room. The indoor-heated swimming pool and sauna offer indulgence for body and soul, whilst for your tastebuds there is the Rock Garden Steakhouse or the Ocean Restaurant - both have award winning menus and there's a beautiful outdoor terrace too. After dinner, relax in the quiet cosy lounge, the library or the private cinema. 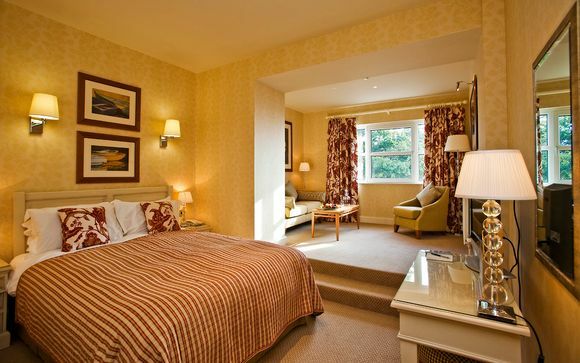 These luxurious rooms are still very spacious and offer views of the immaculate gardens. Rooms are designed with elegance in mind offering complimentary WiFi, Sky-TV, a decanter of Sherry, luxury branded bathroom products and luxurious linen. Located in the Venue building which is set in the hotel grounds, and boasting wonderful views from the balcony over Guernsey’s beautiful Fermain Bay, Gold rooms are a treat to stay in. 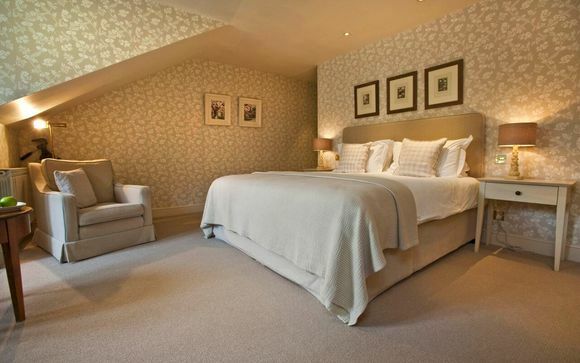 Inspired by the natural coastline and floral displays found amongst the award-winning gardens and throughout the valley, these individually decorated rooms are as luxurious as they are comfortable. A choice of room type is not given. One of the above room types will be allocated to you and will not be known at the time of booking. Ocean restaurant specialises in seafood, that is prepared with passion and care using locally and sustainably sourced produce, where the award winning chefs let the food do the talking. 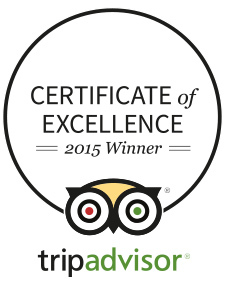 Expect first class food in a relaxed atmosphere with stunning ocean views from the terrace. Pairing beautifully cooked, melt-in-the-mouth steaks and other cuts of meat with innovative and classic cocktails stirred up by our mixologists, discover a new taste sensation at Guernsey’s most exciting new restaurant, The Rock Garden Steakhouse. 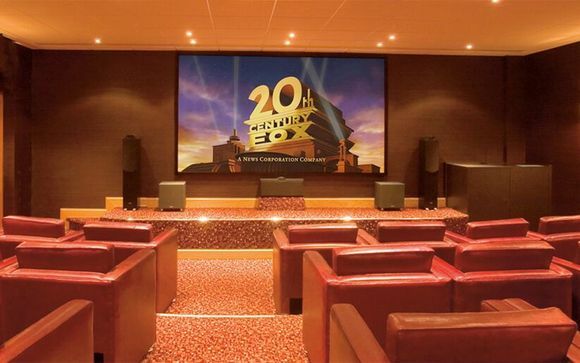 The 3D Surround Sound 27-seat private cinema is available for complimentary use by hotel guests, or for private hire. The hotel has a large archive of movies available or alternatively you can provide your own choice movie. Release tension and give your muscles a rest in the sauna and heated indoor pool. The pool is a great place to spend some time and unwind when the weather is less than ideal, although the doors are frequently opened onto the terrace in warmer weather so you can enjoy the valley view. Transfers: Shared transfers are included. The transfer time is approximately 15 minutes. Please note: flight details are given as a guide only and may change. We will however notify you in advance if flights are more than 2 hours outside the time range given. Specific flights cannot be selected and confirmed timings will be shown on your official documentation from the tour operator. Flights are non-changeable and non-refundable at time of booking. The flight inclusive offer(s) shown on this page are ATOL Protected by the Civil Aviation Authority. Voyage Privé is acting as agent for Premier Holidays with ATOL number 2713 and your contract is with that company. Once the booking process is complete, you will receive an automatic confirmation email from Voyage Prive detailing your chosen travel arrangements. Your official ATOL receipt and booking confirmation issued by the Tour Operator will follow within 5 days. Generally, travel documents are sent via email however, in some cases they will be sent by post. If you have booked Meet & Greet, you will receive a separate voucher for this via email. Please do make sure that you add Voyage Privé to your ‘Safe Senders’ list and check your ‘Junk mail’ regularly for your travel documents. For further information on passport & visa requirements click here.